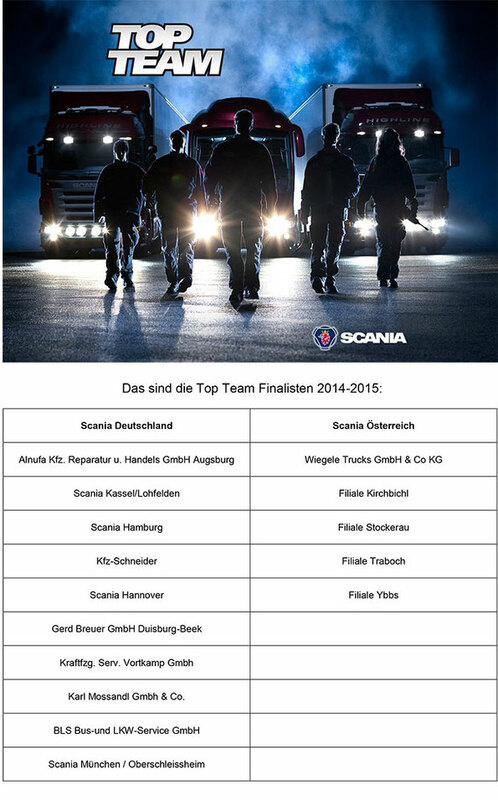 Beim Scania Top Team Wettbewerb 2014,erreichten Wir den 16.Platz...Danke ans ganze Team! When someone writes an paragraph he/she retains the idea of a user in his/her mind that how a user can be aware of it. Therefore that's why this article is amazing. Thanks! I visited multiple blogs however the audio feature for audio songs present at this site is in fact excellent.